Formula 1 Grand Prix in Barcelona is one of the classics on the F1 calender. Tickets to F1 Barcelona can be purchased here! The Grand Prix at Circuit de Catalunya will take place Sunday 12 May 2019. Friday 10 May 2019 and Saturday 11 May 2019, from morning and during the evening different time races, qualifying races and training will take place! On our site you can buy tickets for all 3 days, which means tickets for all races, qualifying races and training and the F1 Grand Prix on Sunday 12 May 2019. Or you can just buy tickets that apply ONLY on Sundays, which covers all events on Sunday the 13 May 2019 inclusive the F1 Grand Prix. 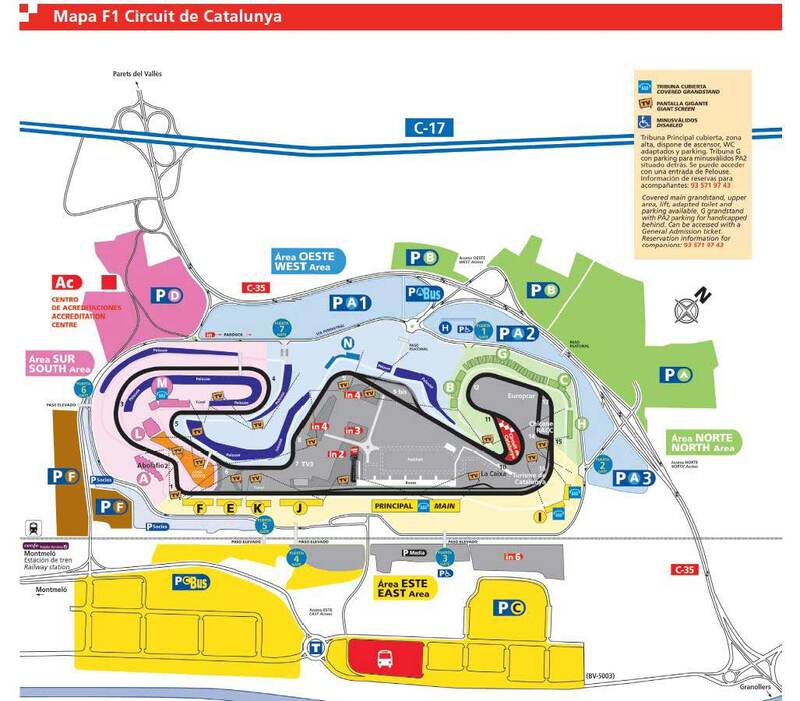 See map of CIRCUIT CATALUNYA, where you can see all stands, sections and seats! The track is 4.65 km. long and the race is 66 laps long, giving a total distance of approx. 307 km. Lap record is held by K. Raikkonen and is 1 min. and 21 sec. and was set in 2008. After you have completed your booking a confirmation and a voucher / e-ticket will be sent to your e-mail address. Please print both and bring a copy on your journey. Your tickets will be ready to be collected at the collection point at the track. Exact address and opening hours for collection will clearly be stated on your voucher/E-ticket. Ticket collection is possible Thursday, Friday, Saturday and Sunday. We sell adult tickets and most often we also offer child and youth tickets for all three days.